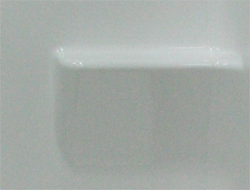 Quality you can see- Comfort Designs’ AcrylX™ Applied Acrylic is a brighter, more lustrous white; thus, providing aesthetic appeal to your bathroom. With less dulling and more shine to the finish, AcrylX™ products will stand the test of time. 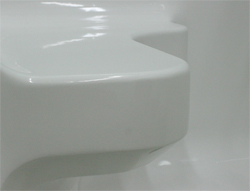 AcrylX™ Applied Acrylicis a tremendous innovation in the bathware industry. 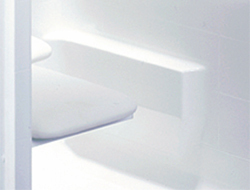 Tested and value proven, AcrylX™ products bring luxury to the everyday bath market. Save time and money. 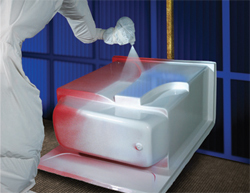 Comfort Designs’ AcrylX™ Applied Acrylic has an average minimum thickness of 22 mil. The less pours and harder AcrylX™ Applied Acrylic finish reduces the chances for scratches and surface repairs - saving you time and money.